Computers have transformed science and help to extend the boundaries of human knowledge. However, does the validation and diffusion of results of computational inquiries and computer simulations call for a novel epistemological analysis? I discuss how the notion of novelty should be cashed out to investigate this issue meaningfully and argue that a consequentialist framework similar to the one used by Goldman to develop social epistemology can be helpful at this point. 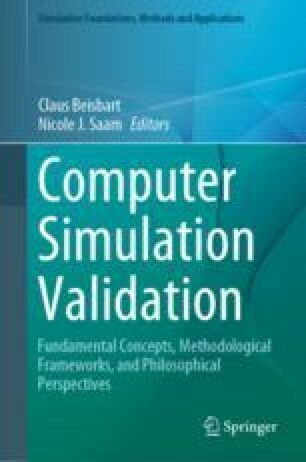 I highlight computational, mathematical, representational, and social stages on which the validity of simulation-based belief-generating processes hinges, and emphasize that their epistemic impact depends on the scientific practices that scientists adopt at these different stages. I further argue that epistemologists cannot ignore these partially novel issues and conclude that the epistemology of computational inquiries needs to go beyond that of models and scientific representations and has cognitive, social, and in the present case computational, dimensions. The drunkard’s search or streetlight fallacy corresponds to a type of situation where people search at the easiest site, even if what they are searching for is unlikely to be there. Typically, the drunkard searches for her keys under a streetlight even if they were lost somewhere else. Past interactions with Roman Frigg, Stephan Hartmann, and Paul Humphreys about various issues discussed in this chapter were extremely stimulating, and I probably owe them more than I am aware of. I am also very grateful to the editors, whose comments contributed significantly to improving this chapter. Frigg, R., & Hartmann, S. (2017). Models in Science. In E. N. Zalta (Ed. ), The Stanford Encyclopedia of Philosophy, Spring 2017. Metaphysics Research Lab, Stanford University, https://plato.stanford.edu/archives/spr2017/entries/models-science/. Heinrich, J. (2004). Detecting a bad random number generator. CDF/MEMO/STATISTICS/PUBLIC/6850. University of Pennsylvania. https://www-cdf.fnal.gov/physics/statistics/notes/cdf6850_badrand.pdf.